Cost is $5 per person. Please RSVP to Liz Novak Henderson at ZW5vdmFrIHwgbWNiYSAhIG9yZw== and pay at the door! 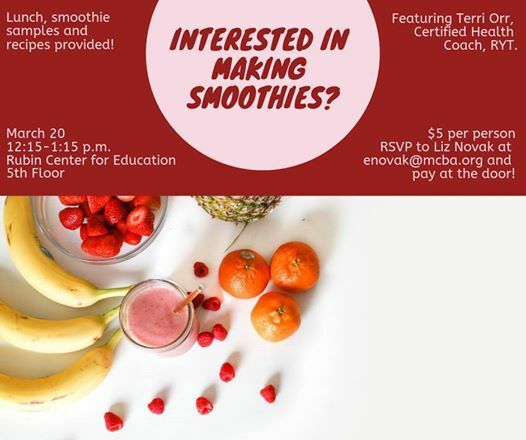 Join fellow MCBA members for a fun and interactive lunch & learn featuring Terri Orr, Certified Health Coach, RYT. 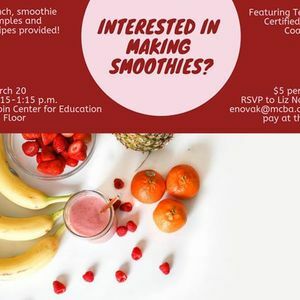 Lunch, smoothie samples and recipes will be provided.